Today is the last day of publication of the News of the World, the News International and News Corp British Sunday tabloid newspaper. I wrote a piece on Friday on this blog re the sacrifice of 200jobs at the paper, pointing out that much as though the existing employees had nothing to do with the former illegal and immoral activities during the phone hacking period, it was their choice of employer. Today I want to tackle the other side of this equation: owning up to failure in your career, and successfully gaining re-employment. On Thursday as the momentous announcements came out of Wapping re the closure of the News of the World (NotW) – and the correct analysis by almost all commentators that the Sun on Sunday would soon follow – there was a lot of understandable emotion that flowed from both readers, advertisers, and staff. The number of effective redundancies and the launch of the Sun on Sunday were two clear facts that emerged all day, but great analysis after this point was this on the ground. But two reliable media commentators emerged on Tuesday as stars. The first was media commentator and BBC Radio4 presenter Steve Hewlett, who raised the question of what was toxic: the News of the World brand, or News Internationals management? Hewlett in many of the media pieces that he did that day raised the comparison with the BBC’s handling of the Iraq War weapons of mass destruction crisis, where only after everyone in the management chain from Andrew Gilligan to the BBC’s Director General Greg Dyke had resigned, could brand BBC emerge from the toxic mess. Hewlett analysed – correctly in my opinion – that the choice to axe the NotW would not stop the toxic shock moving through News International. In the later parts of the afternoon, with both covert recording of Rebekah Brooks speech to her staff and James Murdoch’s formal media interviews – and analysis by United States breakfast commentators – Hewlett’s analysis became more and starkly correct. Why? That’s where the second source of excellent analysis of the situation on Thursday steps to the fore, media commentator, PR expert and international speaker Alan Stevens (do subscribe to his excellent and free weekly newsletter – highly recommended). Stevens has a piece within his portfolio termed Crisis Media Management, which provides a process to handle the media in a PR crisis. Hence by using his own system, Stevens showed how NI were failing to address key fundamental issues, especially within his analysis on Al Jazerra. One of the worst tactical problems that NI made is the continual “leak, leak” of information, only multiplied in this situation where your staff and your competitors are the media people you possibly sat down the pub with this week. Deal with the crisis: read Alan Stevens handling a PR crisis rules. Few employers will touch you whilst the crisis is ongoing and particularly when its still in the newspapers. Be honest and accept what went wrong. People are people, we are not perfect, we all make mistakes. Be prepared to explain: what went wrong; what you learnt; and hence why it won’t happen again. It is amazing what employers will forgive in new hires if you have the talent to do that job, if you have also learnt what you did wrong before and show that you learnt. Don’t try to cover-up your failure in your new Professional CV or job application. But as a good PR person would tell you, there are better ways of communicating failure. Resultantly, he was employed in seven days! 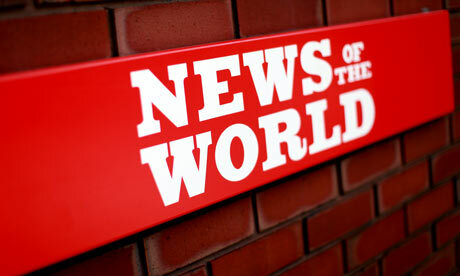 The problem of toxicity within the News of the World is not not within NotW: its within News International management. While the British legal side is being analysed fully on this side of the pond, and the failure of the previous Metropolitan Police investigation to fully investigate the crisis, the American media have also spotted a News Corp legal problem. In his public interviews, James Murdoch admitted in 2007 authorising re-compensatory payments to victims of phone hacking, without both board approval or when he was aware of the full facts. American lawyers assess at present that James and Wall Street Journal publisher Les Hiton are both probably liable for prosecution under the Foreign Corrupt Practises Act. But the biggest problem in stemming the tide of toxicity within News International is Rebekah Brooks. Its doesn’t presently seem that the public, newspaper buyers of NI advertisers believe that she doesn’t hold some complicity in the whole morally corrupt affair, particularly when she claims that she was “on holiday” during the Milly Dowler incident. Lets assume her innocence here, but at no point during this whole 11 year+ crisis has Mrs Brooks been out of the management chain between the perpetrators, the editorial news room, and the Murdoch’s. While Andy Coulson has resigned twice, Mrs Brooks remains in place. Her ill timed departure from NI: why stay so long? Hence my sub-headline: 200*jobs and 1*brand sacrificed to save 1*management and 1*Satellite TV deal. But presently, I don’t think that the sacrifice of 200 jobs and the 168 year old brand will save Brooks, or the deal for BSkyB. The problem is in the management not taking responsibility for the illegal and highly immoral activity. Hence there needs to be a second PR step up to the plate moment, with more honesty and the departure of Mrs Brooks. Resultantly, that’s not great PR or media handling. And it will also question why 200 jobs and one brand had to be sacrificed. If you want to avoid such problems yourself, then read the article 10 things to check about your future employer. In the mean time, I wish these soon to be redundant journalists Good Luck! Scarier and scarier… just when you thought it was safe to go back into phone hacking, the picture gets even darker. Gordon Brown now says the hackers were after details of his children, an appalling revelation. Whatever will come out next? Wow… it’s incredible enough that Rebekah Brooks has been arrested today (about time too, some might suggest) but now it seems Jude Law is implicating the Sun in phone hacking too! Hoo-bleedin’-ray! Bring them all down, I say, bury the lot of them! LOL!